Description: Scholarship is open to students currently enrolled in an accredited college. Applicant must submit a personal essay about their education and goals after graduation. Description: Scholarship is open to current college (entering junior or senior year by the summer of 2017) or graduate students who have interest and career ambitions in national security. Description: Scholarship is open to students currently enrolled as an undergraduate student at a four-year college or university in the United States and is planning to participate in full-time study abroad for at least one full semester outside of the United States. Description: Scholarship is open to students accepted and will be attending their first year of law school in the fall of 2017. Applicant must be a U.S. citizen or otherwise authorized to work in the United States and have at least a 3.0 GPA. Description: Scholarship is open to high school students and current college students who aspire to a career in the technical aspects of broadcasting. Description: Scholarship is open to students clinically diagnosed with hemophilia or von Wilebrand disease. Applicant must be students entering grades 7 through 12 at a private secondary school or students who will be enrolled in full-time undergraduate or graduate courses of study for the upcoming academic year. Description: Scholarship is open to students currently enrolled in an accredited college and majoring in a science or engineering program. Applicant must submit an essay about their academic goals and their ambitions after graduation. Description: Anyone can nominate a deserving veteran of the U.S. military and veterans may nominate themselves. Nominator must submit an essay providing details about the veteran’s service and why they deserve the cash grant. Description: Scholarship is open to incoming and current college students with a passion for Internet Marketing. Students who are currently studying or intend to be in the areas of Marketing, Business, IT or Communications may be interested in this scholarship, but is open to all students. Applicant must submit an essay on a given topic related to internet marketing. Description: Scholarships are open to high school seniors and college students who are registered or pre-registered to attend an accredited school in the United States. Applicant must be pursuing a degree in a food service/hospitality, or something directly related. Description: Scholarship is open to incoming and current undergraduate and graduate students. Applicant must submit an essay on what America’s colleges and universities can do to significantly reduce the incidence of sexual assault on campus. Description: Scholarship is open to undergraduate and graduate students pursuing a career objective in the Hospitality Industry with an emphasis towards the area of hospitality interior design. Description: Scholarship is open to legal residents of the U.S. and Canada who are current students at an accredited U.S. or Canadian college or university who are pursuing a career in the food service and hospitality industry. Description: Scholarship is open to students who will be enrolled in college during fall 2017 and who have dyslexia. Applicant must submit an essay on a given topic related to living with dyslexia. Description: Scholarship is open to graduating high school seniors and current college students in the United States. Applicant must submit an essay answering questions about a move they have made. Description: Scholarship is open to current college students or anyone planning on attending college (or another form of higher education) in the upcoming school year. Applicant must also have a valid driver’s license. Applicant must participate in a Safe Driver Program and create a form of social awareness that inspires other students to focus on safe driving. This can be a video, artwork, essay or anything that would engage other students to focus on safe driving. Description: Scholarship is open to students attending a two or four-year college or university in the Fall of 2017. Applicant must have been involved in caregiving for a family member. Description: Scholarship is open to students attending a two or four-year college or university in the Fall of 2017. Applicant must have been involved in volunteer service for a senior living community during the past year. Description: Scholarship is open to students currently enrolled in an eligible graduate program, have native or near-native proficiency in a second language, and would like to work with multicultural children in a diverse school-setting. Description: Scholarship is open to current U.S. undergraduate students seeking degrees in business, management, marketing, or related fields who have at least a 3.5 GPA. Applicant must submit an essay on the next innovative approach in marketing. Description: Scholarship is open to undergraduate and graduate students with a passion for marketing and the great outdoors. Students studying or interested in Communications, Marketing, IT Field, and Business are recommended to apply. Applicant must submit an essay on a given topic related to the outdoors. Description: Scholarship is open to incoming and current law school students. Applicant must submit an essay on a given topic related to civil rights. Description: Scholarship is open to students enrolled or accepted into an accredited college, university or vocational-technical school who are a former dependent of an air or ground medical transport crew member or patient who lost their life or were seriously injured in an air medical accident. Description: Contest is open to enlisted personnel – active duty, reserve and retired-from any the nation’s sea services. Applicant must submit an essay on a given topic related to naval intelligence. Description: Scholarship is open to students currently enrolled in an associate’s degree, bachelor’s degree, or graduate level program at an accredited college. Applicant must submit an essay on a given topic related to technology. Description: Scholarship is open to undergraduate and certificate level nursing students. Applicant must submit an essay on how they will present themselves to a potential employer. Description: Scholarship is open to students who are at least 18 years of age and residing legally in the United States and who are currently enrolled in an accredited two- or four-year college or university in the United States. Applicant must submit a video sharing what they personally do to eat healthy in college. Description: Scholarship is open to U.S. high school seniors and current undergraduate and graduate students. Applicant must submit a personal essay on three of four given topics. Description: Scholarship is open to legal residents of the United States and the District of Columbia who have a child who is enrolling in an accredited college or university for the first time (will be a freshman) in the upcoming (2017-2018) school year. Description: Scholarship is open to current, full-time, undergraduate and graduate students enrolled in behavioral or social science in an accredited college or university in the United States who have a cumulative GPA of at least 3.0. Applicant must submit an essay on any theory related to communication which is backed by scientific research. 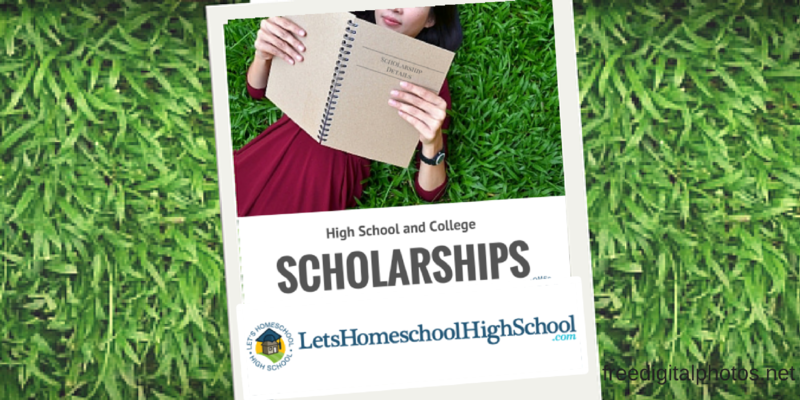 Description: Scholarship is open to students who have a high school diploma at the time of application who will be enrolled in college in the fall. Applicant must submit a personal essay on their educational and life goals and adversity or hardships that they have had and have overcome. Description: Scholarship is open to any college students (graduate or undergraduate) who have a pet they love. International students attending U.S. institutions are welcome to apply. Applicant must create a short video with their pet sharing their favorite memories. Description: Scholarships are open to Hispanic and Latino/a students who are graduating high school seniors through graduate students and are majoring in a science, technology, engineering, or math (STEM) degree programs. There are multiple scholarships – see website for details. Description: Scholarship is open to students who will be attending a college or university in the fall of 2017 and who have at least a 3.0 GPA. Applicant must submit an essay on why they want to pursue a career in the medical field. Description: Scholarship is open to 2017 high school graduates from Delaware who are of Caribbean descent. Description: Scholarship is open to current undergraduate and graduate students who have parents who are divorced and/or been raised in a single-parent household. Applicant must submit an essay or video on their family. Description: Scholarship is open to incoming and current college students attending an accredited university inside the USA who have run in an organized race (5K, 10K, half marathon, or marathon). Description: Scholarship is open to students who are 25 years of age or younger, who are current or former high school students, and who will attend or is attending college within the U.S. or its territories. Applicant must submit an original poem on a given theme related to classic fairy tales. Description: Scholarship is open to students officially accepted to or currently enrolled in a U.S. college or university for 2017. Applicant must tweet or post a picture on Instagram showing their best idea for making money as a college student. Description: Scholarship is open to incoming and current undergraduate students. Applicant must submit an essay on how they plan to use their education to serve a community. Description: Scholarship is open to United States citizens who are committed to a college or university in the United States and who have at least a 3.0 GPA. Applicant must submit a video explaining what tips and tricks they use to improve focus in class or when studying. Description: Scholarship is open to men 18 years of age or older who are actively enrolled in an accredited nursing program. Description: Scholarship is open to students 18 years of age or older who are actively enrolled in an accredited RN to BSN program. Description: Scholarship is open to students currently enrolled in or have been accepted to a Juris Doctorate program in the United States. Applicant must have a cumulative GPA of 3.5 or higher and be legally married. Description: Scholarship is open to citizens and residents of the United States (and its territories and possessions) and Canada who will be enrolled at an accredited institution of higher learning full-time for Fall Semester 2017. Applicant must submit an essay on financial freedom. Description: Scholarship is open to current, full-time students at accredited four-year American universities and colleges. Applicant must submit an essay on a given topic related to a high-tech dental office. Description: Scholarship is open to legal U.S. residents who are 18 years of age or older and is or will be attending an accredited college or university. Applicant must submit an essay on who has influenced them. Description: Scholarship is open to students currently attending or planning to attend a college or university during the fall 2017 academic year. Applicant must have at least a 3.0 GPA. Applicant must submit an essay on a given topic related to loyalty marketing strategy for a leisure brand. Description: Scholarship is open to female graduating high school seniors under the age of 19 who have expressed a desire to pursue their dreams in athletics to further or enable their respective athletic careers. Description: Scholarship is open to U.S. citizens who are currently or about to be enrolled in an accredited U.S. college or university. Applicant must submit an essay on what inspires them. Description: Scholarship is open to incoming college students and college graduates looking to further their education. Applicant must submit an essay on one of three given topics related to vacations and the outdoors. Description: Scholarship is open to incoming and current undergraduate and graduate students. Applicant must submit an essay on a given topic related to drunk driving. Sponsor: Urban & Taylor, S.C. Description: Scholarship is open to students currently attending or planning to attend their first year of college or graduate school in the upcoming fall or spring semester. Applicant must submit an essay on a given topic related to driving safety. Description: Scholarship is open to students currently attending or planning to attend their first year of college or graduate school in the upcoming fall or spring semester. Applicant must submit an essay on a given topic related to volunteering. Description: Scholarship is open to students currently enrolled or enrolled in the upcoming semester at a college, university or trade school in the U.S. Applicant must submit an essay on how substance abuse has affected their life. Description: Scholarship is open to U.S. students who are in law school. Applicant must submit a video or essay explaining how lawyers make the world a safer place. Description: Scholarship is open to current junior college, undergraduate, or graduate students who are at least 50 years of age. Applicant must submit a completed application, one recommendation, and a letter describing their educational background and current goals. Description: Scholarship is open to Vermont Horse Council adult members (older than 19 years of age) for clinics, workshops, accredited secondary education class (computer based or in person), or American Horse Council events. Description: Scholarship is open to full-time college students who currently own a lawn care business, ran a lawn care business in the past, or plan on starting a business upon graduating college. Description: Scholarship is open to students enrolled, or due to be enrolled, in full-time university education for the semester they are applying. Applicant must submit an essay on a given topic related to gun violence. Description: Scholarship is open to graduating high school seniors and currently enrolled students in an art-related program at any school or university (visual or performing arts). Description: Scholarship is open to high school and college students who are permanent residents of the United States. Applicant must fill out a short online application and share in 140 characters or less how they will use the scholarship. CU members with a Youth Pocket Cache, miMoney or Choice Checking Account. Description: Scholarship is open to students enrolled as an undergraduate or graduate student at an accredited postsecondary institution. Applicant must submit an essay on their favorite vacation destination. Description: Scholarship is open to high school and college students with at least a 3.0 GPA. Applicant must submit an essay on a given topic related to technology. Description: Scholarship is open to female students who are enrolled in high school, college, or university. Applicant must submit an essay on one of three given topics related to women. Description: Scholarship is open to college students who are seeking a career in the fields of underwater research, equipment technology or hyperbaric research. Applicant must be a certified diver. Sponsor: The Law Offices of Joshua L. Goldstein, P.C. Description: Scholarship is open to current college students who are either U.S. born students whose parents are from another country, or a foreign-born student who immigrated to the United States. DACA, undocumented immigrants, and students currently undergoing the green card application process are especially encouraged to apply. Description: Scholarship is open to U.S. undergraduate students studying business, business management, advertising, marketing, or related fields. Applicant must submit an essay on a given topic related customer service. Description: Scholarship is open to high school seniors and current undergraduate and graduate students with at least a 3.0 GPA. Applicant must submit a personal essay and an essay on cable management. Description: Scholarship is open to U.S. citizens who are either an incoming or current undergraduate student. Applicant must submit an essay on what they love about baseball in high school. Description: Scholarship is open to 2L law students enrolled full-time at an ABA-accredited law school. Applicant must demonstrate a commitment to promoting diversity and contributing to the firm’s diversity goals as a result of background, experience, personal attributes or characteristics. Recipient of scholarship will receive a paid 2L summer associate position as well as the scholarship. Description: Scholarship is open to current college students. Applicant must submit a game-play video of them playing their favorite game or a video discussing the components they would buy if they were building a gaming computer. Description: Scholarship is open to U.S. legal residents who are enrolled or seeking enrollment in a full-time graduate or undergraduate course at an accredited university in the U.S. for Fall 2017. Applicant must submit an essay on a given topic related to connected technology. Description: Scholarship is open to legal U.S. residents who are at least 18 years old and are graduating high school seniors or current undergraduate and graduate students. Applicant must submit two short essays on a given topic related to automobiles and the Autolist’s core values. Description: Scholarship is open to all university students, including those who will be starting in Fall 2017. Applicant must submit an essay on one of five given topics related to television. Description: Scholarship is open to students enrolled in a college, university, or graduate school during the 2017-2018 academic year with at least a 3.0 GPA. Applicant must be taking responsibility to improve his or her community and must share an essay on the topic. Description: Scholarship is open to graduating high school seniors and current college students. Applicant must submit an essay on one of three given topics related to the mail. Description: Scholarship is open to high school seniors (Class of 2018) who are planning to enroll in a full-time course of study toward a bachelor’s degree at an accredited four-year U.S. college or university. Applicant must maintain a minimum cumulative unweighted 3.7 GPA. Description: Scholarship is open to incoming and current college students worldwide who will be enrolled in 2017 and have a minimum GPA of 3.0. Applicant must submit an essay on the importance of their major in today’s society. Description: Scholarship is open to U.S. citizens and legal residents who are starting a program of higher education (college or graduate school) within the next 12 months or are currently enrolled. Applicant must be 17 years of age or older (there is no maximum age limit). Applicant must share in three sentences of less why they are getting their degree. Description: Scholarship is open to female students enrolled at a private or public educational institution, and working towards a certificate, diploma, or degree. Description: Scholarship is open to U.S. undergraduate students with at least a 3.5 GPA who are studying engineering, business, management, or a related field. Applicant must submit an essay on the two technologies he or she believes will revolutionize residential construction.